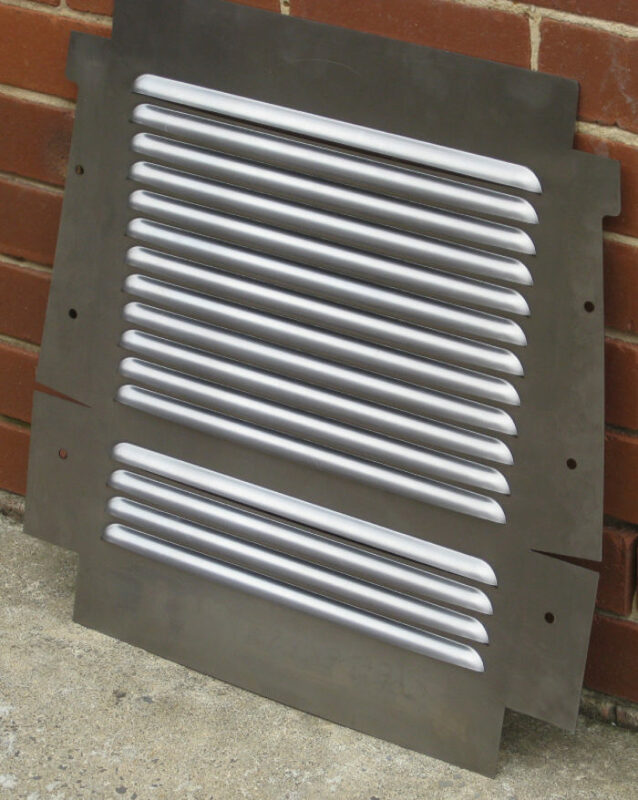 The ventilation louvers above have 400mm wide louvers. 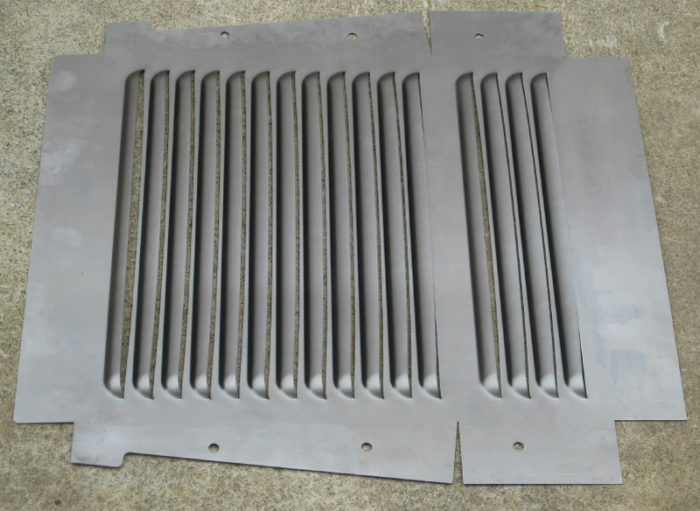 Our stock ventilation louvers are identical to the E-Type Jag Louvers except that we have included 2 more louvers in the panel for extra ventilation. Overall Individual Panel Size = 500mm x 300mm. 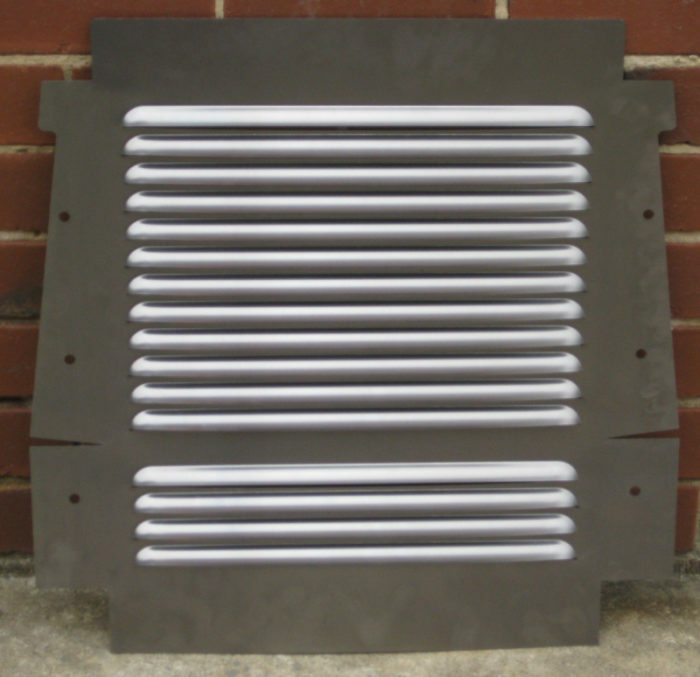 Louver Size = 220mm wide louvers. 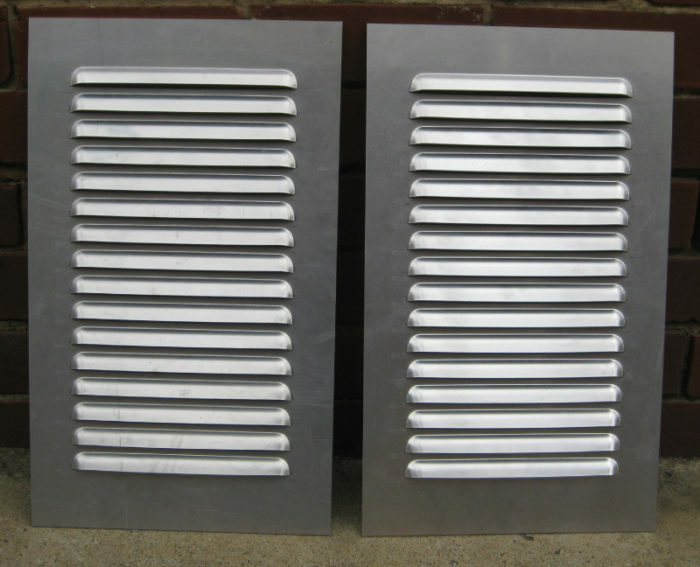 Louver Material = Aluminium (1.6mm thick, so very strong and not flimsy). Louver Weight per panel = 650 grams approx (please note shipping weight will be more to account for packaging weight). (Shipping dimensions and weights = 51cm x 31cm x 3cm approx. Wgt = 1.5kg approx/panel or 2.5kg for 2 panels etc).